Yesterday, before I started exploring St Mary’s Church, Old Hunstanton in Norfolk, I noticed this entrance at the end of Church Road. I have a fascination for odd bits of masonary that look quite interesting. If it had not been for the large’ Private’ sign, I might have ventured around the corner…..but I didn’t. 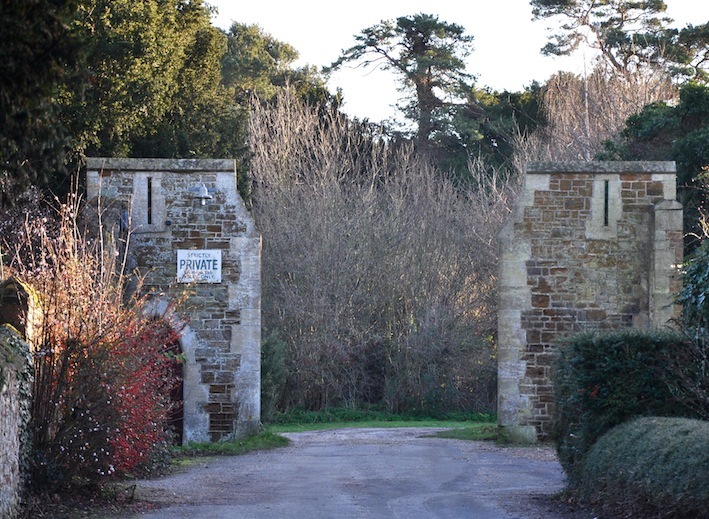 This is the entrance to Hunstanton Hall, built by the Le Strange family that came to Britain with William the Conquerer, they were Lords of the Manor in Hunstanton for centuries. 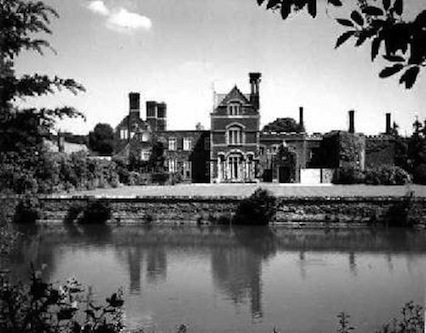 The Moated Hall still stands, but is now dividend into several homes, some which have part of the moat in their garden. 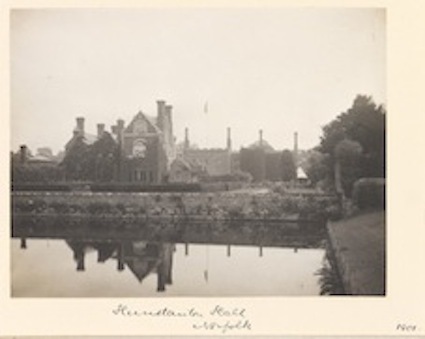 You can go on a walk that takes you past the Hall, but only on a Thursday…..why a Thursday, it dates back to when the Le Strange family allowed the villagers into the large deer park to collect wood. One day I will do the walk, as I really would love to take some photos, but yesterday was a Saturday. 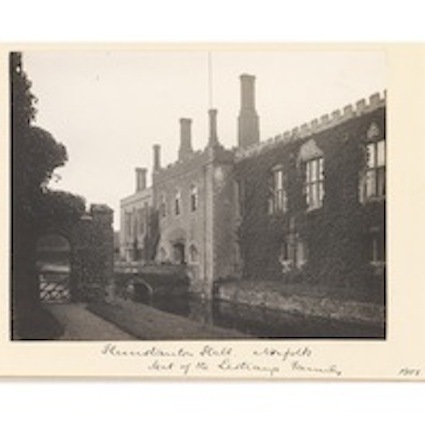 I did find a few photos of how the hall looked in pervious times, the original two storey house was started in 1578 by Sir Nicholas Le Strange, although a brick gatehouse was built in the deer park in 1490 by Sir Roger Le Strange. In the 16th century, woodlands and gardens with a ha ha, were developed up until the 20th century. The Hall has been re-modelled after two fires in the 19th century. The gate entrance and gate piers, we see now, were built mid-late 19th century and could have been part of the improvements to Hall in 1873. They are classed as ‘High Victorian Gothic of severe military aspect’ There are single arrow slits, with a stone arch and pedestrian entrance. The Le Strange family were also responsible, for making Hunstanton the seaside resort it is today. So from a couple of gate piers, we can trace the history, although only a small amount, of a grand family the Le Strange and their home. I am a direct descedant of the strange . My father is the last john strange in which i believe he is 10 th john strange. Hi Shawn, sorry but I have no information of before the hall. Next PostNext Christmas in Hunstanton Church, Norfolk.